You have legitimate concerns about how your information is used and protected. SwimCSI.com understands these concerns, we know how it feels for someone to miss use your critical information, we certainly would not want another company doing that to us and as such we protect your information as it was our own. Swim CSI is committed to safeguarding your information and providing a secure environment for your transaction and browsing experiences. Information is only kept on hand as necessary to complete purchases or maintain records per federal and state laws. All information gathered, stored, or shared is done so to ensure that swimcsi.com can meet customer needs, fulfill and complete orders, or comply with federal and state laws. With that in mind, swim csi does not share any personally identifiable data in any way that does not relate to validation of identity and address to ensure a legal transaction and the obtainment of legal payment. Sensitive information is not given to entities that do not require access to it under any circumstances. During the course of a transaction it may become necessary to give limited information to third parties such as financial institutions, manufacturers, shipping companies, etc, to ensure purchase fulfillment. In these situations SWIMCSI.COM exercises extreme caution and security when doing so. SWIM CSI will NEVER sell your personal information! SWIM-CSI.com will NEVER sell customer email addresses to third parties, such email addresses are used for the sole purpose of proper communication with our customers. If a product is purchased for another party, Swimcsi only validates the shipping address information of the receiving party. Any information Swim csi .com receives from cookies, transactions, registration information, directly from the customer in any fashion, etc., is used and protected based on the nature of the information. Such information is only used according to the type that was gathered, for instance statistical information is used to help offer viable products, financial information is used only to process a payment, etc. SwiM CsI utilizes cookies to ensure the site stays viable and convenient for its users. The use of this website is consensual agreement to the use of cookie information. The type of information collected will be relevant information such as IP addresses, pages accessed, links utilized, time spent on site, etc. This information will only be used when necessary to maintain the site, track patterns of site use, repair broken links, ensure web browser compatibility, etc. Sensitive information is restricted to only those SWIM-csi personnel that truly require such information and follow proper security procedures when using such information. Physical information that is no longer required is immediately disposed of per PCI Compliance procedures. Physical information that is stored until no longer needed is secured in a locked environment with restricted access. Site security & internet transactions are currently processed through Yahoo! 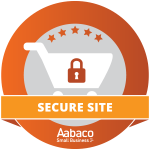 Ecommerce using 128bit encryption, Security Keys, SSL technology and CISP compliance. AZ Pool Supplies, Inc. takes copyright infringement very seriously. If you believe any material on this website infringes you or your companies copyright, please contact us immediately either by email or by post. This site participates in the Upfront Merchant program.